015 Project Managers: Be Excellent! It’s a new week and I bring you episode 15 of the PM for the Masses Podcast. It’s great to have you as part of this thriving community. If you haven’t been to our Google+ community, you’re missing out! Today I bring you the multitalented Frank Saladis, PMP. We will talk about his career, International Project Management Day, and the Ontario Road Show series, in which he will present a variety of talks to audiences here in Ontario, Canada. Frank P. Saladis, PMP is a senior consultant and trainer in the field of professional project management. He is an accomplished leader in project management and the author of 10 published books. Frank is the past editor of the internationally distributed project management newsletter all PM and the author of over 150 project management articles. Frank has entertained countless word wide audiences with project management keynote presentations and workshops. Frank is also the originator of the International Project Management Day, which started in 2004 and has been growing in participation yearly. Frank is a Project Management Professional, holds a Masters Certificate in Commercial Project management from George Washington University, is a graduate from the PMI Leadership Institute Masters Class, and has been very involved with the Project Management Institute since 1991. He is a past president of the New York City PMI chapter and past chair of the PMI Ed SIG and has held many other PMI leadership positions. 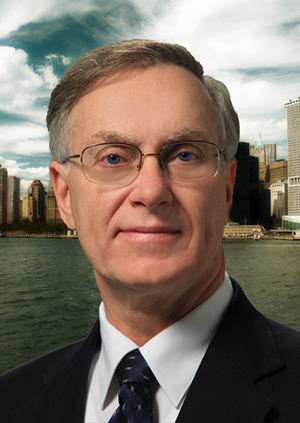 Frank was recognized as PMI’s person of the year in 2006. To listen to my interview with Frank Saladis, press the “play” button on top of this post. On today’s show we also talk about the series of talks that Frank Saladis will conduct here in southern Ontario, Canada, in the next few weeks. It will be 4 days in which Frank will engage audiences throughout our region and we are very excited to participate. I will definitely be at the October 30 event, and I would love to meet you there! Plans are moving forward for this exciting little project of mine. 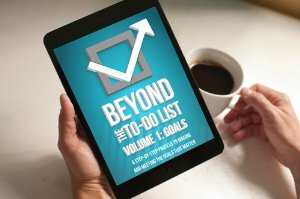 Myself and a select group of individuals will be reading through Erik Fisher and Jim Woods’ book “Beyond the To-Do List: Goals” together. While we read it, we will also be a part of a private message board to discuss the book, and help each other with our goals. Also, every week (or every two weeks) we will be having a teleconference call via GoToMeeting to really take things up a notch. The best part is that Erik will be reading the book with us and participating in the discussions. If you’d like to be a part of this, first buy the book, then drop me a line. As I’m typing this there are already around 20 people in the group, so move fast if you’d like to secure a spot! To listen to this episode, press the “play” button on top of this post. So that’s it for today! Have a great week and remember: Life is a project. You are the manager.